Advent Calendar Door 22: Performing operations on form load with SharePoint display, new and edit forms. Very often, there is a need to perform an operation on form load when opening a SharePoint display, edit or new form. This is useful in various scenarios – from displaying different form regions or data in different situations (which can be determined on form load), to fetching external data and preloading and prepopulating it in the form fields. 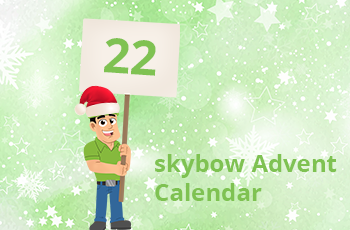 In today’s skybow Advent Calendar, we will show you how to achieve this in few clicks with skybow Solution Studio and skybow Rich Forms. Open the display, edit or new form of a SharePoint list where you want to configure the form load actions. In skybow Solution Studio, or skybow Rich Forms, open the “Behavior” ribbon, and then click the “Edit” icon in the “Form Load Actions” group. You will get the same action builder which you have in Action Links or Buttons – and, yes, you can perform the same actions. Adding, editing or deleting list items, setting the form field values, sending emails, or running custom scripts – all those actions are supported. Build your sequence of actions and click ok – and voila, you’ve created a from load startup procedure. 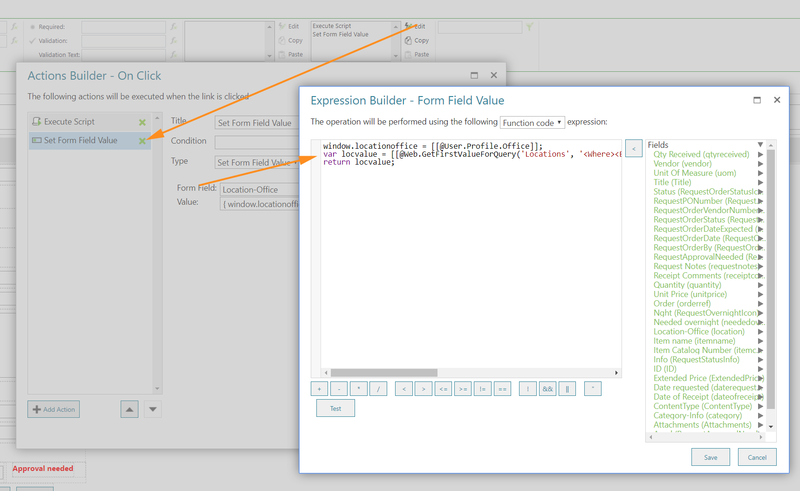 In the screenshot above, we are running a custom script, and then setting the custom value of a lookup field on this form. All this took less than two minutes to configure.